Indian Android developers were over the moon when the news broke that now Indian Android developers could sell their paid apps on Google Play store. Looks like their happiness was extremely short-lived. 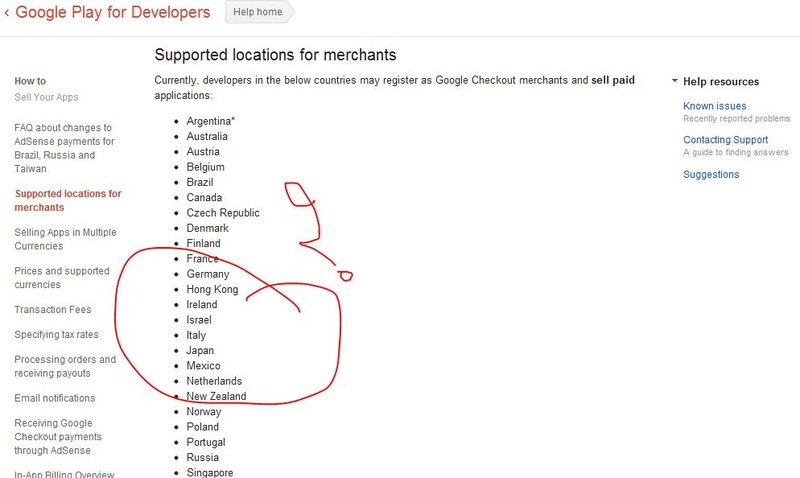 In last 24 hours, Google has removed India from the list of supported countries. When we wrote about this just over 24 hours back, India was appearing in the list of supported countries and now it is not. Check out this list today. There are / were total of 32 countries on the list when we checked yesterday including India, however, it may be a human error because of which India’s name would have appeared in the list. The other possibility is that Google may still be in the process of integrating and someone made a mistake of putting it ahead of time (because when we tried yesterday we were not able to do it ). In this case there is hope that, it will be a possibility sooner rather than later. It may also have happened that they may be facing a technical glitch, and would have removed India’s name temporarily. 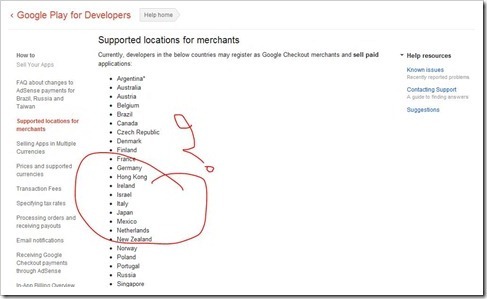 Whatever, be the case – India’s name does not appear in the list of supported countries. We will keep a closer look on this and try to find what is the real issue behind disappearance of Indian name from the list. I would believe they are working on it and something broke, the dashboard never showed a signup as merchant option. I am greatly disappointed , after reading previous news, I have started working on two android apps.